The SWSIS program provides scholarships of up to $10,000 for women studying for their Bachelors and Masters degrees in fields relating to information security. The purpose of these scholarships is to provide assistance to women at the formative stages of their careers in these fields. 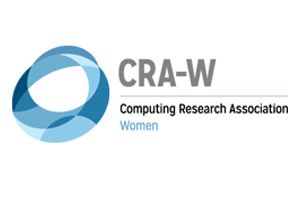 SWSIS is a partnership of Applied Computer Security Associates (ACSA) and CRA-W. Its long-term goal is to contribute to increasing the representation of women in the information security workforce. ACSA founded the SWSIS scholarship program in 2011 and joined forces with CRA-W in 2014 to lead the selection process. As of 2018, SWSIS scholarships have been awarded to over 75 women studying information security. Find recent press releases and coverage, here. generally tax deductible. Consult your tax advisor for details. Read about Kimberly Ruth (2017-18) and Dorcas Kosgei (2018-19), recipients of the Rebecca Gurley Bace SWSIS Scholarship. Women studying information security may apply for consideration to receive the scholarship for their third or fourth year of undergraduate studies, or for a Masters’ program. To be eligible, you must be accepted at or enrolled in a US campus of a US university. Applicants must be US citizens or permanent residents. More details under FAQ. 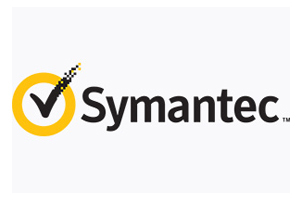 An essay describing her interest and background in the information security field. A current official or unofficial transcript. Letters of reference (typically from faculty members). University name and class status. * If the applicant is in her first semester at her current university, she should submit her class schedule and transcript(s) from prior universities. Official transcripts may be required for scholarship recipients, but not for application. **The scholarship may be renewable for a second year if eligibility conditions are still met, given proof of satisfactory academic progress and availability of funds. CRA-W leads the selection process, assisted by a selection committee. The selection committee makes recommendations to ACSA, which finalizes the decisions. 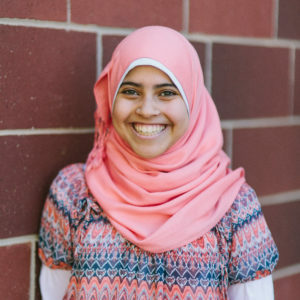 Rawan Al-Shaer is a Computer Science major and math minor with a concentration in cybersecurity (junior level) at the University of North Carolina Charlotte. 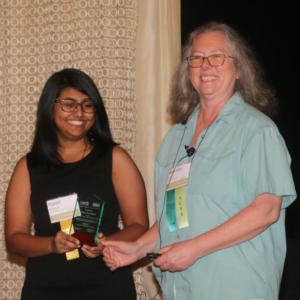 She received the Future of Computing award highlighting the importance of gender diversity in Computer Science, and is the first place winner of the Technology Talk Competition, analyzing privacy risks in Health Informatics. 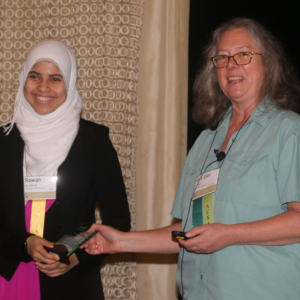 Rawan also received the first place prize for a UNC Charlotte Hackathon in March 2018. Rawan’s research area of interest includes data science for security, logic based reasoning for attack detection, and malware analysis. She is working on several projects such as the Cyber Hunting project, and Advanced Persistent Threat Research. She is also active in student organizations such as ACM-W encouraging women to enter the field of Computing. Rawan plans to continue her research and is excited to pursue a Master’s degree in Cybersecurity. Kingberli Capellan is a Junior in Computer Science at Kean University minoring in Cybersecurity and Mathematical Science. She is currently the president of the Association for Computing Machinery-Women (ACM-W) chapter where she has found the inspiration to continue supporting and celebrating diversity in the field. 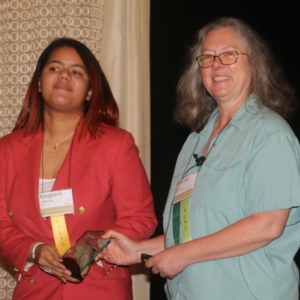 She was given the opportunity to be part of the execution team in the Cybersecurity Awareness Day at Kean and awarded to attend the 2018 Women in Cybersecurity (WiCyS) conference in Chicago. She plans to enroll in a graduate program related to Cryptography as soon as she finishes her bachelor’s degree, and she loves reading fiction..
Maria Chibuanurim Chukwuma is a first year Master’s Student studying information Systems and Technology at George Washington University, Washington DC.Maria has a passion for Cyber Security and hopes to pursue a doctorate study in that field. 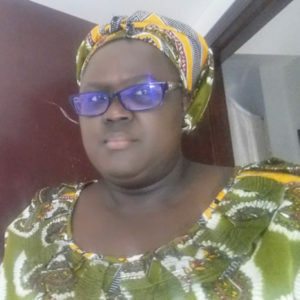 She has been in IT training and Networking for a couple of years and delights in encouraging the young ones especially the female folks to develop their skills in Information Technology. Dorcas is an undergraduate majoring in Cyber Security at Columbia Basin College. She is looking forward to completing her Bachelor’s and pursuing her Master’s. Dorcas is the winner of the Rebecca Gurley Bace Memorial scholarship in memory of Becky Bace, mentor, inventor, and entrepreneur. Andrea is a senior and honors student at Rider University majoring in information systems who will be graduating with a Bachelor’s of Science in Business Administration in May of 2018. She will be attending Boston University for her Master’s in Computer Information Systems with a Concentration in Security. During her senior year, as an undergraduate, she conducted academic research for her honors thesis on the topic of Cyber Security and the Internet of Things (IoT). 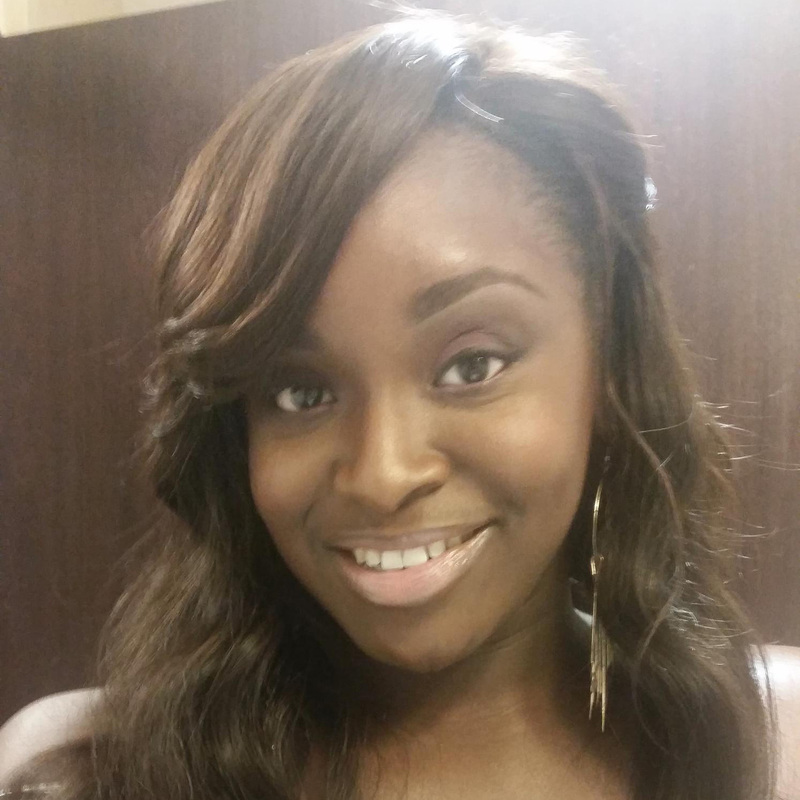 Andrea plans to use her master’s degree to pursue a career as an information security analyst. She also hopes to one day establish a foundation to help encourage more women to enter into the field of cyber security. 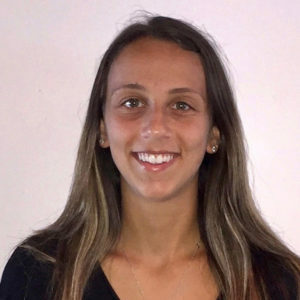 Jenna Pardi is a junior at the University at Albany majoring in Digital Forensics and double minoring in Spanish and Emergency Preparedness, Homeland Security & Cybersecurity. 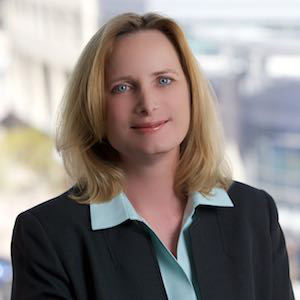 She serves as President of the Digital Forensics Association, as well as being involved in other organizations such as the Dean’s Leadership Council, Omicron Delta Kappa National Leadership Honor Society and Sigma Delta Pi National Collegiate Hispanic Honor Society. She currently is interning with the New York State Intelligence Center and aspires to work for the government doing intelligence work or cyber crime investigations. Amanda Perkins is going into her second year as a Junior at Norwich University’s online Cyber Security program. She is interested in Computer Forensics and applying what she is learning to her current career as a Software Quality Analyst and later when she will work to transition her career to the Cyber Security field. She is excited to use the skills she learns in Cyber Security and Computer Forensics to help others. Yulini Persaud is an incoming graduate student at Carnegie Mellon University, pursuing her M.S. in Information Security Policy and Management. She earned her B.S. in Computer Networks and Cyber Security at Monroe College. She serves as a mentor for the Air Force Association’s CyberPatriot competition for high school students and works as an Information Systems Engineer for a small IT consulting company. Upon graduation, Yulini hopes to work for a United States government agency to develop cybersecurity policy, while continuing to mentor younger students in the field. Keaira is a Senior at The University of Tampa studying Cybersecurity with a minor in Management Information Systems. At UT Keaira is a member of Delta Sigma Pi Business Fraternity, Beta Alpha Psi International organization, Black Student Union, Women in Technology club, and the Student Government representative of the Cybersecurity Club. Keaira found interest in Cybersecurity because there is always something new happening in the Cyber world that allows Cybersecurity professional to continue to learn and work in a changing environment. Keaira would one day like to work as a Cybersecurity Consultant, where she is able to be technical and business savvy. Ayesha Rizvi is a senior at John Jay College majoring in computer science and information security and minoring in Mathematics. She plans to spend her summer of 2018 at Brookhaven National Laboratory for 10 weeks conducting research on the inspection of packets to detect patterns of intrusion and prevent cyber attacks. 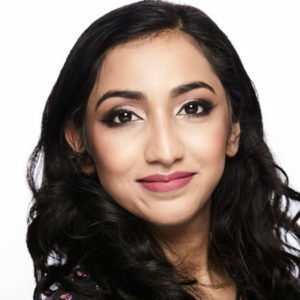 Ayesha hopes to pursue her Master’s in a field of cyber security, and she is particularly interested in the role of a Certified Ethical Hacking. Carolyn Solimine is a junior at the University at Albany majoring in digital forensics and criminal justice, and minoring in Emergency Preparedness/Homeland Security and French. Carolyn is a member of the University Honors College, the Digital Forensics Association, and actively volunteers for the campus EMS agency. Carolyn will be pursuing a career in cyber security and law enforcement after graduation. Alyssa Jo Tice is a junior at Pennsylvania State University majoring in Computer Science. She has a passion for safe and secure systems development. Alyssa is involved with Penn State’s Engineering Ambassadors, where she gives tours and participates in outreach trips to encourage women to pursue an engineering education. 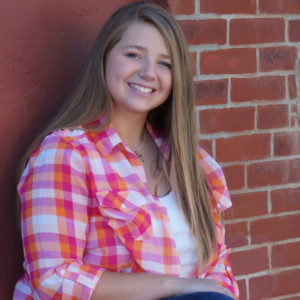 During her senior year, she will conduct research and write a thesis about a topic in systems security to graduate with honors through Schreyer Honors College. Shaya Wolf is a first year Masters student for Computer Science. 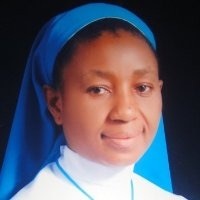 She received a Bachelor of Science in Computer Science and a Bachelor of Science in Mathematics at the University of Wyoming. She enjoys spending her time in the CEDAR (Cybersecurity EDucation And Research) center researching distributed systems and secure-by-design communication protocols. 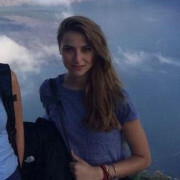 Madeleine Barowsky is a junior at Wellesley College studying computer science and mathematics. She has a passion for all things cybersecurity and is particularly interested in cryptography. Madeleine plans to pursue research in mathematics and cryptography in graduate school. 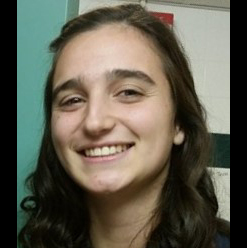 Brooke Bullek is a junior at Bucknell University majoring in computer science & engineering. 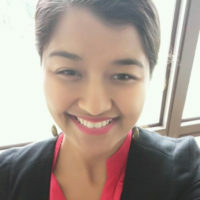 This past year, she’s conducted research within the intersection of data privacy and human-computer interaction through involvement with the CREU program, and will present peer-reviewed original research at the ACM SIGCHI international conference. In her ongoing research, she plans to cultivate privacy literacy by further contributing to a holistic understanding of privacy definitions. 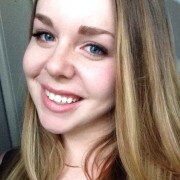 Brooke aspires to integrate her passions for software development and usability upon graduation, while at the same time motivating other women to pursue interests in computer science. 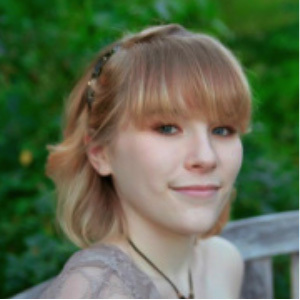 Robin Burkett is a second year Master’s student in Computer Forensics at George Mason University. She has a BS in Management Information Systems from Florida State University and her first career was in Information technology. She took the opportunity to pursue a life-long dream to start a photography business where she became an award-winning professional photographer. She ran her photography business for over a decade. 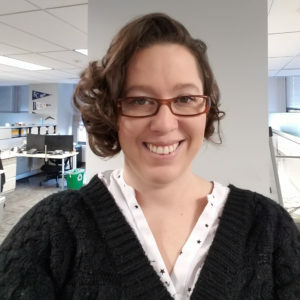 Craving a new challenge, when she learned about information security, she decided to go back to school to get a certificate in cybersecurity at Northern Virginia Community College and then went on to pursue her Master’s Degree. She was a speaker at BSides Las Vegas in 2016 and participates in Capture the Flag individual and team competitions. She was chosen to participate in the DHS Secretary’s Honors Cyber Student Volunteer Initiative and now works full-time at a security research lab. Caroline Cox is going into her junior year at Washington College, in Maryland, where she is double majoring in Mathematics and Computer Science, with minors in German and Dance. 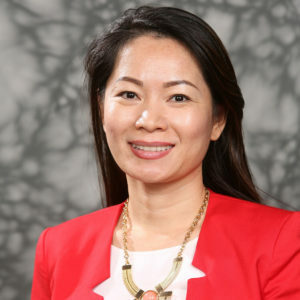 At Washington College, she is the president of the computer club, a member of the Pi Mu Epsilon mathematics honor society, Media Intern for the Admissions Office, and the Treasurer of Dance club, among many other clubs and activities. While finishing up her undergraduate degree, she hopes to further her knowledge and interest in the cyber security field. Loan Hanlon is a graduate student at University of Maryland University College working toward her Master of Science in Cybersecurity. She received a Bachelor of Science in Management Information Systems from George Mason University. After graduation, she plans to pursue a career in cyber security and help people/organizations to protect against cybercrime. 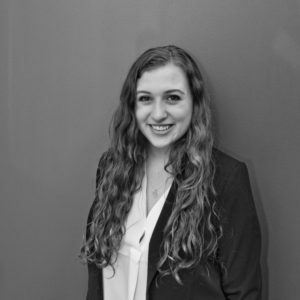 Hannah Kabir is a senior at University at Albany who will be graduating with a Bachelor’s of Science in May of 2017. She will be attending Johns Hopkins Whiting School of Engineering to pursue a Master’s in Cyber security. She has attended the Workshop for Minorities and Women at the Cyber Huntsville conference and been chosen to be featured in a blog called “Reigningit” supporting women in STEM. Hannah plans to use her Master’s degree to be a leader in the cyber security field and also create out-reach programs to inspire young girls and women to pursue education and carers in STEM. She starts a full time job at KeyBank as a Cyber Security Analyst this summer. 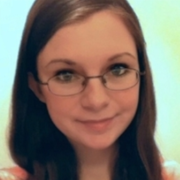 Scarlett Levine is a sophomore at University at Albany majoring in Digital Forensics and minoring in Criminal Justice. She is pursuing a career in cyber security and law enforcement. Scarlett is a member of the Digital Forensics Association and Presidential Honors Society, yet her passion is the Albany Bowling Club. Catherine McLean is an undergraduate honors student at Northeastern University pursuing both her Bachelors in Computer Science and Cyber Operations and Masters in Computer Science. She is currently completing an internship as a Cyber Engineer at Raytheon. At Northeastern, she works as a Teaching Assistant for an introductory computer science class, mentors incoming freshmen, and participates in the Women in Technology club. Catherine is passionate about supporting the next generation of women in the security field. Yin Mei is a graduate student at NYU Tandon School of Engineering, Computer Science department, working towards a Masters in Cyber Security. She is a graduate of the NYU CS Bridge Program and was selected into the NYU Cyber Scholars Program for researching topics surrounding journalism and security as part of the non-federally funded interdisciplinary scholarship program. After obtaining a B.A in Psychology at UC Berkeley, she has worked in international cities spanning San Francisco, Paris, Beijing and New York. With a media and public relations background, she has lead the organization of global, multi-lingual communities around innovation such as Barcamp Beijing and TEDxBeijing. Having worked full time as a software engineer since 2013, she hopes to combine technical skills with interdisciplinary knowledge to strengthen the application of information security. Yin also looks forward to supporting the leadership of more women in the field. Victoria Mondragon is currently a junior at University at Albany studying Digital Forensics and Cyber Security. She is greatly involved with clubs on campus including The DFA (Digital Forensics Association). She also donates much of her time to volunteering and giving back in her community. 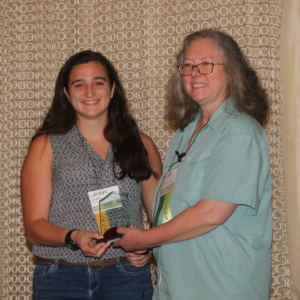 Victoria has received many great opportunities to further her knowledge in the field of Cyber Security including attending WiCyS in Tucson, AZ this past year. After graduation she hopes to use her knowledge and passion for Cyber Security as well as the criminal justice field as a whole to focus on becoming a homicide detective. She is honored to be a recipient of SWSIS scholarship and is looking forward to making great contributions within the Cyber Security and Forensics fields. 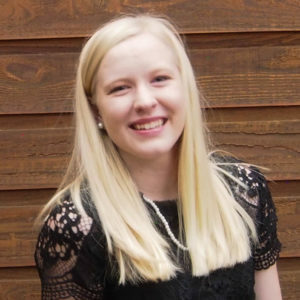 Ivy Oeltjenbruns is a junior studying Cyber Operations at Dakota State University with a focus in computer forensics. She is very involved on campus as the current President of Computer Club (Association for Computing Machinery Student Chapter), secretary of CybHer Club (Women in Cyber Security), and a member of Defensive Security Club. After graduation, she plans to get a master’s degree in Applied Computer Science. 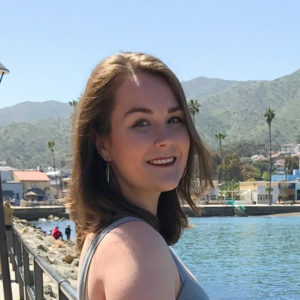 Nicole Price, a senior at New Mexico State University, is majoring in Information Engineering Technology and minoring in Security Technology and Music. 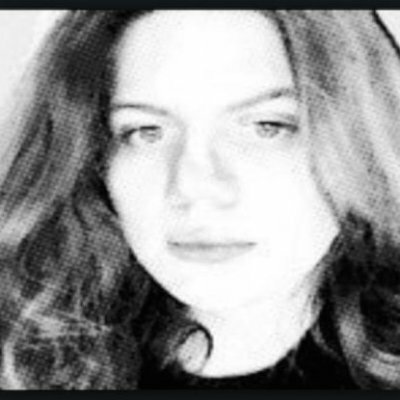 She currently works as an undergraduate research assistant for Young Women in Computing, where she designs/instructs courses in Cyber Security, Encryption, Robotics, and more Computer Science related subjects. She is also an Information Security Analyst intern for an insurance company, and will be interning with Google IT during the summer of 2017. In addition to this, Nicole is a part of the Network Security Group at school where she competed in the Southwest Collegiate Cyber Defense Competition. Her plans for the future include pursuing a Master’s degree in Information Security, Computer Science, or a closely related subject. Angela Rice found her passion for cyber security while taking courses for a business related degree. She is currently majoring in IT Security at Western Governors University, where she plans to continue and complete a Masters. Angela enhanced her abilities in the security field during an internship where she was immersed in IT security policy, standards, and compliance work, updating the IT Security Plan for a government agency. She is excited to pursue a career in cyber security, and looks forward to growing her expertise in the field. 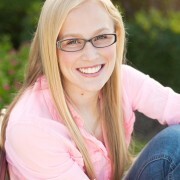 Kimberly Ruth is a sophomore studying computer engineering at the University of Washington. She has been actively involved in security research, with her current focus being security for augmented reality systems; she has also been a security intern at Google. Kimberly is excited to pursue a PhD followed by a research-based career in computer security. In addition to being a SWSIS Scholar, she is the first winner of the SWSIS Rebecca Gurley Bace Scholarship. Carrick Bartle will be a first-year master’s student in computer science at UC San Diego starting Fall 2016 with a focus in applied cryptography. 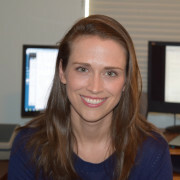 After majoring in English at UC Berkeley and working in the film industry for several years, she returned to school at California State University, Northridge to study computer science and began doing research in applied cryptography through an NSF Research Experience for Undergraduates at the University of Connecticut. She looks forward to continuing her research this fall and to eventually working as a security software engineer. 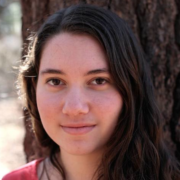 Rachel Cohen is a senior at University of Maryland, Baltimore County studying Computer Science. At UMBC, she is a member of the Cyber Scholars Program and involved with the Center for Women in Technology. She is a native of Columbia, Maryland where she attended Atholton High school. 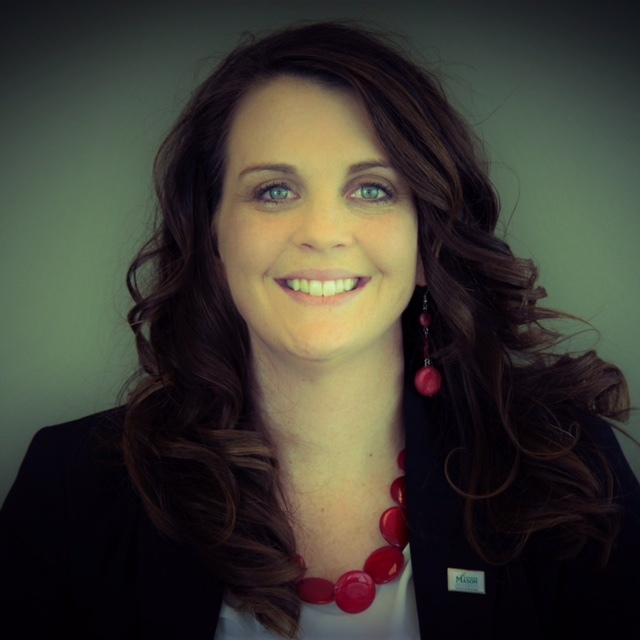 Sarah Earle is currently an Associate Principal for a high school technology program in Charleston County School District, Charleston, SC where she is working with a variety of organizations to build a state-of-the-art information security pathway for high school students. Her passion for security developed while working with her students and noticing strong need for balance between policy and practice. She will attend University of Maryland University College to obtain a Master of Science in Cybersecurity Policy. In addition to pursuing a career in information security, Sarah plans to continue working to encourage underrepresented students to choose a variety of computer science avenues. Sarah is currently working to increase her technical knowledge by studying for several industry certifications. She enjoys traveling, reading and spending time with her family. 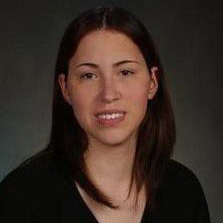 Jenniffer Estrada is a graduate student at Youngstown State University working towards her Masters in Computer Science, and is an active member of the YSU Information Security and Ethical Hacking Association. She received her Bachelors and Masters degree in Electrical Engineering from Clarkson University. 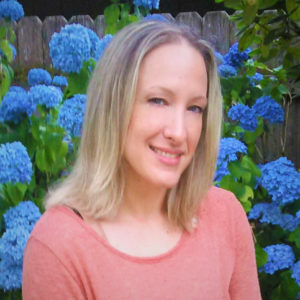 She has attended several security conferences including DEFCON, BSides and BlackHat, and competed in several security competitions CTFs including the NCL (National Cyber League). After graduation, she plans to pursue a Computer Science doctoral degree and hopes to become an information security researcher. As a Webmaster/Support Specialist at the Mississippi Supreme Court, Deirdre Johnson continues to become more acquainted with the importance of system networks, and to refine security skills that cybersecurity analysts use regularly. She is currently a graduate student at the University of South Florida pursuing a Masters degree in Cybersecurity with an interest in Digital Forensics. She has always been someone who cares highly about protecting personal data and information across all borders. After graduation, she plans to start her career as an innovative and engaged Cybersecurity analyst. As a SWSIS scholarship recipient, she is confident that the skills she employs will be passed down to the next generation and will also ensure that she motivates and encourages the next generation of women in information security. Kaitlyn Kelly is currently a junior at SUNY Albany double majoring in Digital Forensics and Financial Market Regulation. She grew up in Millbrook, NY. She helped found a new club as secretary of the Cyber Defense Organization, which is committed to providing a platform for students interested in cyber security to learn and practice their technical skills, while also competing in competitions in the local area and beyond. She has also interned at the US SEC Regional office in NYC and will be an intern at the Department of Defense in Washington DC this summer. After graduation she hopes to start a career in cyber intelligence and attend graduate school. 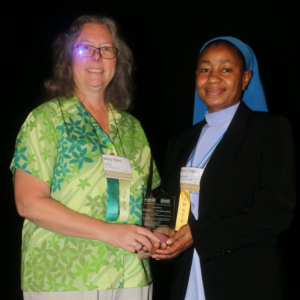 She is honored to be a recipient of the SWSISscholarship and looking forward to providing solutions to the emerging issues found in the changing landscape of cyber security. 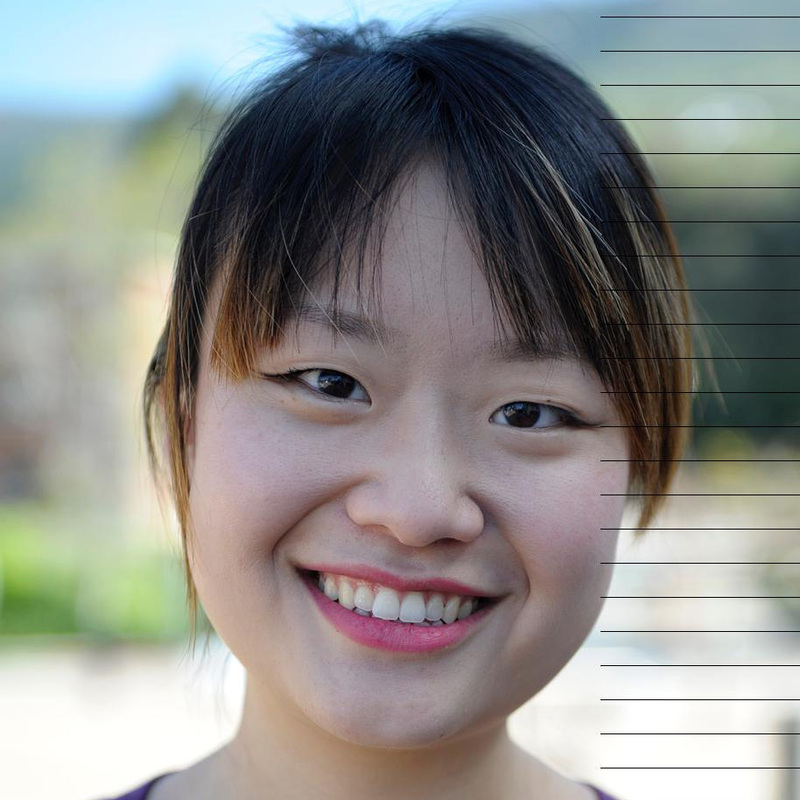 Michelle Lam is a third year Computer Science major at Cal Poly SLO, focusing in computer security. She has taken coursework in cryptography, network security, and web security, and is returning to Apple for a second security internship, after having interned at Northrop Grumman. 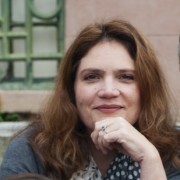 She is the president of her school’s chapter of Association for Computing Machinery and has also been an officer of Women Involved in Software and Hardware as well as White Hat Computer Security. 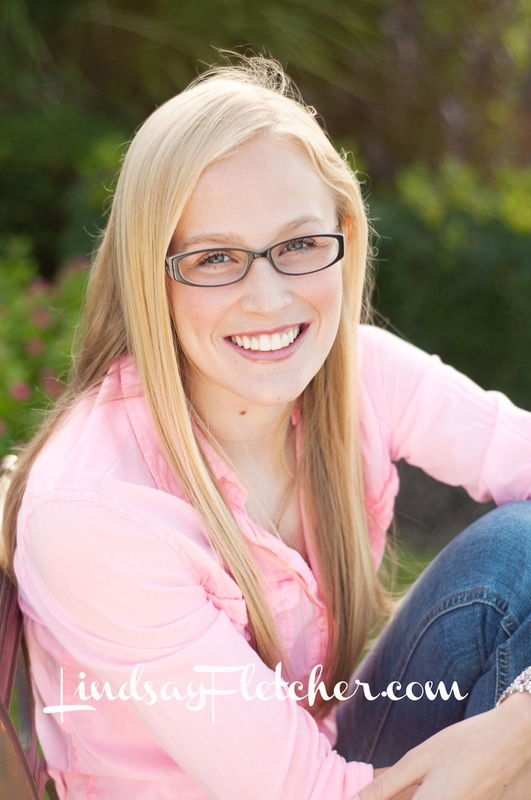 Kelsey McKinley is an Information Security major at Ferris State University. She plans on using her degree to pursue cyber terrorism and forensics with the federal government. In addition to her studies, she is a two time All-American Scholar for the Ferris State Women’s Golf Team. Sarah Miller is entering her second year at Carnegie Mellon University in Fall 2016 to complete a Master of Science in Information Security Policy and Management. Sarah has received a Master of Arts in Rhetoric from Carnegie Mellon University and a BA from McDaniel College after double-majoring in English and Psychology. Sarah hopes to advocate for women in other fields to consider cyber security as a career. 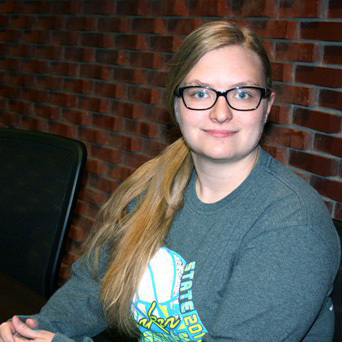 Stephanie Plucker is currently a Senior at Dakota State University studying Network Security Administration. She will be pursuing a master’s degree in Information Assurance starting in Spring 2017. 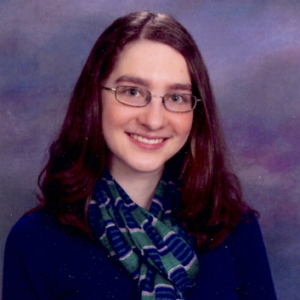 Along with classes and being a SWSIS scholarship recipient, Steph is currently the computer club president, INSURE Research Scholarship participant, and AAUW Grant participant; all of which are helping expand her skills as a student and professional. Jessica Sanford serves as a Deputy Chief of Staff for a Congressional office on Capitol Hill and is currently pursuing her Masters Degree in Secure Information Systems at George Mason University. She and her husband currently reside in Arlington, VA.
Mary Anne Smart is a junior from Bloomington, Indiana, studying math, computer science, and Spanish at Indiana University. For the past two years, she has enjoyed working as a peer-led team learning leader at IU’s School of Informatics and Computing. 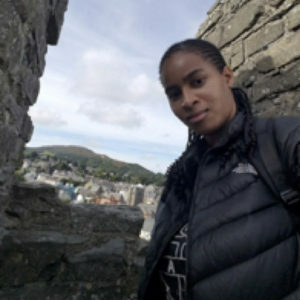 Dralia Tulley-Patton became passionate about working at the intersection of Natural Language Processing (NLP) and Security, after she attended several related talks at Grace Hopper. 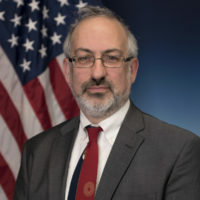 Specifically, she plans to advance research in the area of insider threat detection, exploring the use of NLP and ML in analyzing the differences between the language of a typical employee and the language of an insider who poses a security threat. 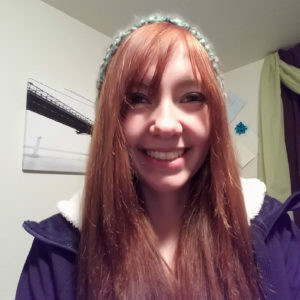 Jessica Wilson is a current Honors student from Eastern Michigan University majoring in Information Assurance and minoring in Computer Engineering Technologies. 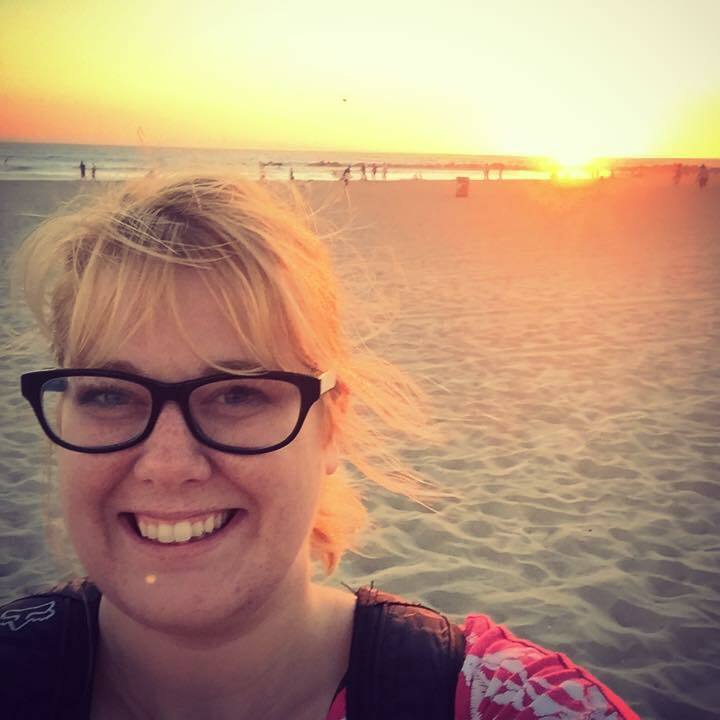 She is an active member of the information security community, leading the Information Assurance Student Association, as well as founding the Women in IA group at her university. She has also interned at Virta Labs working on security testing for health care and medical devices including side channel analysis. After studying economics, Franziska Wittleder discovered her passion for coding and cyber security as a founding member of a start up of a German publishing house. She decided to pursue coding at SoundCloud and now with her Master in Information Science at Cornell and as an active member of the Cornell Hacking Club. Born and raised in Germany, she might be the only German who does not like beer. Evelyn Brown is currently a sophomore at Embry Riddle Aeronautical University studying Cyber Security and Intelligence. 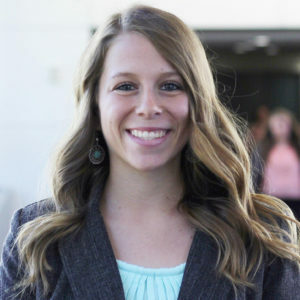 She grew up in Kingman, Arizona and was home schooled, graduating from both high school and Mohave Community College with an Associate’s Degree in 2014. She is very grateful to be a SWSIS scholarship recipient and looking forward to her career in Cyber Security! Priya Chawla is an actively involved student at University of Cincinnati studying Computer Science. This year, she founded a student chapter of ACM-W for her university. The chapter has received generous amounts of support and funding from many top engineering firms. She is also currently enrolled in the ACCEND program, a dual-degree program for students to receive their Master’s degree and Bachelor’s degree at the same time. Priya’s Master’s thesis research will be focused in the area of data mining. After graduation, Priya looks forward to developing innovative solutions that will help safeguard our nation’s information. Shelby Cunningham is a first-year master’s student at Carnegie Mellon University studying information security policy and management. A life-long resident of the Pittsburgh area, she also received a B.S. in psychology from Carnegie Mellon in 2014. 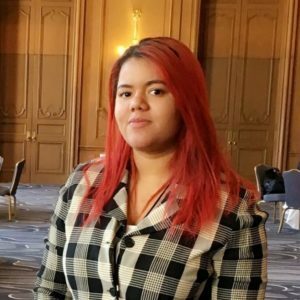 Alejandra is a rising junior at the University of Maryland, Baltimore County majoring in Computer Science with a focus on Cyber Security. As part of the Cyber Security Scholars, she has had great opportunities to expand her skills as a student. After graduation, she is looking forward to pursuing a Master’s degree in Computer Science and Cyber Security. Fumi Honda is a senior from Stony Brook University majoring in Computer Science with a focus in information assurance. She also double major in Psychology and minor in Business. She hopes her interdisciplinary background will help her become a better security consultant on problems of security trade-offs. Ashley Huffman is a dual major at Northern Kentucky University studying Computer Science and Computer Information Technology. She is actively involved with the schools cyber-defense team and information security club along with the schools Women in Informatics group. She hopes to go into the field of information Security after she graduates and is particularly interested in application security and malware analysis. 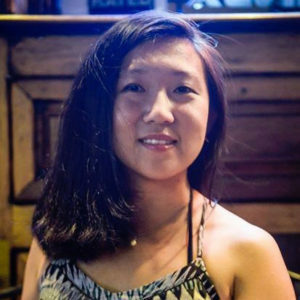 Cindy Jong is studying Information Assurance and Security Engineering at DePaul University. Cindy is originally from Taiwan and she hopes to pursue a career in either application security, or network security. She enjoys reading cyber security books on different topics during her free time; she also enjoys playing video games. 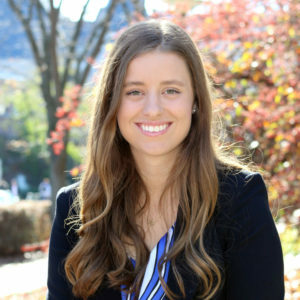 Madison Oliver is a Security and Risk Analysis Major at Penn State’s main campus and has been here throughout her entire undergraduate degree. Madison is originally from Pittsburgh, Pennsylvania. She plans on taking the LSATs this upcoming October to pursue a career in Intellectual Property Law. For fun, she likes to play video games and board games with friends. Imani is a graduate student at Kentucky State University working towards her Masters in Computer Science Technology with a concentration in Cyber Security. She received her Bachelor’s degree in Electrical Engineering from the University of Dayton. After graduation she plans to pursue a Technology and Public Policy doctoral degree. Angela Sun is a student at Michigan State University studying smartphone systems and security. She has previously interned for Google. In addition to information security, she also has strong interests in business and product management. Kebra Thompson was a high school math teacher for eighteen years before deciding to return to school and study some exciting applications of math. She is just finishing up an undergraduate degree in Computer Engineering and starting on a Masters degree in Computer Science with a focus on Cyber security. She is very interested in math and its applications in cryptography and hopes to use those skills in industry after her graduation. 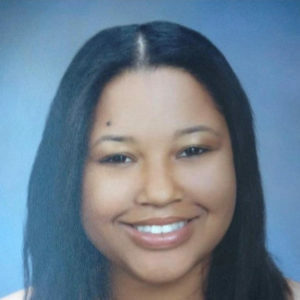 Stefanye Walkes is currently a senior at California State University, Dominguez Hills for a Bachelor’s degree in their Computer Technology, Homeland Security track. After getting her Bachelor’s, she will attend graduate school for a cyber security-related Master’s degree. Career-wise she hopes to do research for the United States’ intelligence community. After spending most of her professional career as a stay-at-home mom, Gena is venturing out into the world of technology in pursuit of making computers and data more secure for the humans they serve. She is passionately interested in privacy issues and laws, telecom policies in the US and abroad, and the way the brain is adapting to screen technology and the negative effects it could be having on our children. Gena is pursuing a Masters Degree in ICTD from the University of Colorado. Leah Xu is a junior Computer Engineering major at the University of Maryland, College Park who is deeply interested in intersection between technology, humanity, and other industries. She has been conducting cyber security research in an interdisciplinary lab with criminologists and computer scientists for the past two years. She will be spending her summer interning as a program manager at Microsoft on the Azure team and her fall at Google interning as a software engineer on the data infrastructure team at Nest. Kira is a senior at Columbia University majoring in Math and Computer Science. She grew up in Washington, DC, and attended Sidwell Friends High School. She is hoping to get a job in cyber security and is thrilled to be an SWSIS awardee! Nick Manfredi is a senior at Wellesley College, majoring in computer science with a focus in information security. After graduation, Nick plans to attend graduate school. Sherri Pearlman is a senior at National University where she is majoring in Cyber Security with a focus in Information Assurance. After graduation she plans to get a job in the industry, where she hopes to work in Network Security. Abisola Togunde is a senior at Eastern Michigan University. She is majoring in Information Assurance, with a concentration in Management. After graduation, she plans to get a job in industry, where she hopes to focus on network security and risk management. 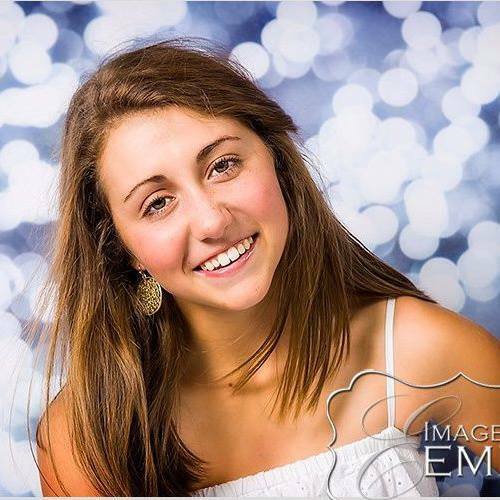 She’s a native of Ithaca, NY, however she attended Eaton Rapids High School in Eaton Rapids, MI. 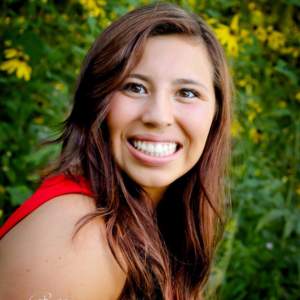 Geneva Capos is a senior at California State University, Northridge (CSUN). She’s majoring in Information Technology and minoring in Sociology. Her hometown is Granite Bay, California where she went to Granite Bay High School and competed in varsity swimming and water polo. She was recruited to CSUN to play water polo. Interests in crime, computers and helping people lead her to the Information Security world. She is the president of the computer security club Layer 8 on her campus. Geneva is rejoining the water polo team after a 2-year retirement taken primarily to focus on schoolwork and studying computer security. That time off allowed her to become more involved with the Layer 8 club. 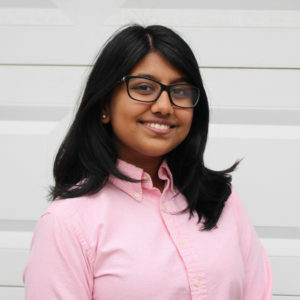 With Layer 8 she has attended several security conferences and conventions, competed in several security competitions such as picoCTF, NCL (National Cyber League), CCDC (Collegiate Cyber Defense Competition) qualifiers, CCDC invitational, and attended the USCC (US Cyber Challenge) San Jose Summer Camp. Currently she is an intern at the Aerospace Corporation in the Information Security Department. After graduating from CSUN, she plans on going to graduate school to expand her security knowledge. Following that, she hopes to pursue a career in cyber security and help protect people against technological threats. 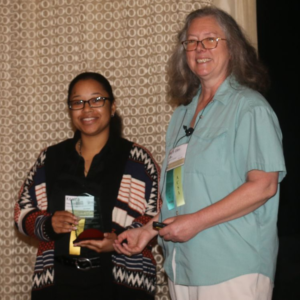 Kebra Thomspon received an SWSIS scholarship from 2015 to 2016 while she earned a master’s degree in computer science at the University of Washington - Tacoma. She is currently an Information Specialist at the Naval Undersea Warfare Center in Keyport, Washington. The New America Foundation has started a new series of blog posts about women in cybersecurity. Among the first are two SWSIS winners, writing about their careers and how they've become interested in cybersecurity. Read about Priya Chawla and Jill Jermyn. The blog is called Humans of Cybersecurity. When are applications for the SWSIS scholarships due? Applications are accepted by a February 1 deadline of each year, for scholarships to start the following academic year. The application site opens in early December for a mid-December to February 1 application window. Decisions are finalized in mid-April. It is my first semester in this graduate program, so I technically do not have any class records in my transcript for this campus. Please include a copy of your class schedule, to show that you are an enrolled student, even though you don’t have a transcript yet. I hope to enroll in a masters program next year, but I have not yet been accepted. Am I eligible to apply? Yes, so long as you meet the other criteria. Before an award is made, we will verify that you will in fact be in a suitable masters program. Please include a statement about your plans in your essay, and list the programs to which you have applied. Can a student in a two year master's program apply in their second year, having already completed the first year of the program? If you will be in your second year of your two-year Master’s program in the upcoming Academic Year, then you are eligible. If you will be finished with the second year by the time the scholarship is awarded, then you are not eligible to apply. I am a freshman in computer engineering, I don’t know yet whether I am interested in security – could I get a scholarship? Probably not – you need to be a junior or senior or in a Master’s program next school year, plus already have security coursework in your studies, have held a security-related job, or otherwise exhibit security interest (e.g., through a club). I have a BS in another field, now I am back at community college taking classes in Linux and Cisco so that I can get some certifications. Would I be eligible to apply for this scholarship? Probably not – our goal is to encourage security education, not training, and certifications fall in the “training” category. I’m pursuing a BA, not a BS. Am I eligible? Yes, any Bachelors’ program, including BA, BS, BEng, etc., is acceptable for a SWSIS scholarship, assuming that you meet the other qualifications. I’m pursuing a PhD. Am I eligible? No. This program is only for undergraduates and masters students. I am enrolled in an Information Security Certificate program – am I eligible to apply for a SWSIS scholarship? Most likely not, as we do not support students in certificate programs, unless they’re also degree programs (Bachelors’ or Masters’ degree). What topic areas constitute “information security”? This list is not comprehensive. Please ask if unsure whether a topic qualifies. How are applications evaluated? Are letters of recommendation important? Letters of recommendation are one of the factors we consider, along with essays, transcripts, and resumes (e.g., clubs, honors, internships), along with diversity factors. There is no fixed weighting among the inputs, but all are important. I am participating in an online program, not an on-campus program. Am I eligible? Students in online degree programs offered by US institutions are eligible, so long as all of the other eligibility criteria are met. What do scholarship winners receive? Funds are paid directly to your account at your university for tuition, books, etc. Scholarship winners will be invited to attend security conferences held by ACSA and HP (expenses will be paid for winners who choose to attend) and will have opportunities to participate in career mentoring programs organized by the CRA-W. 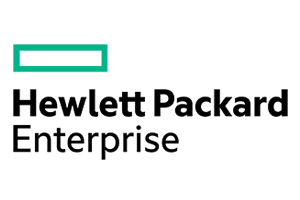 Some scholarship winners may also be offered summer internships with HP.